Ankle ocd (osteochondritis dissecans) is a condition in which the bone located underneath the articulating cartilage surfaces of the ankle joint undergoes degeneration due to lack of blood supply. Fragments of bone and cartilage may then break loose causing restricted range of motion and pain. Ankle OCD commonly occurs in the talus, one of the large bones in the ankle. 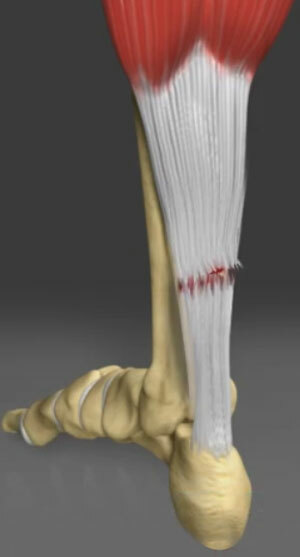 It may be caused by a twisting injury of the ankle and may result in a chip-type fracture or impairment of blood supply to the joint with subsequent necrosis and fragmentation of the bone. 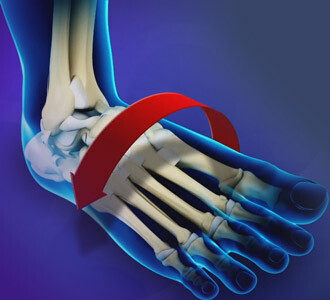 Initially, you will have pain and swelling, with difficulty bearing weight on the ankle. The symptoms will persist due to degeneration and fragmentation of the bone. 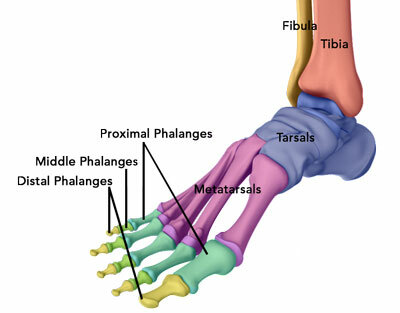 The bone fragments may produce a catching sensation and restrict range of motion of the ankle. Your doctor will take a complete medical history and perform a physical examination to evaluate for signs and symptoms of ankle OCD. 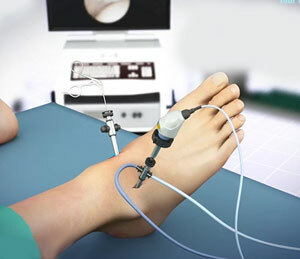 Radiographs of the ankle are obtained to identify the bone fragments. Special imaging techniques such as computerized tomography or magnetic resonance imaging are performed to get a detailed view of the area including the surrounding soft tissues. The type of treatment depends on the time elapsed since injury. If ankle OCD is diagnosed immediately following the injury, cast immobilization along with non-weight bearing may be recommended for a period of 6 weeks. This allows the bone to heal and prevent further injury. Surgery is usually recommended to remove the devitalized bone in cases of chronic infections. Surgery may be performed using an arthroscope through very small incisions in the joint or by making a large open incision. Small holes may be drilled into the bone after removal of the necrotic material to stimulate increased blood supply to the area and promote healing. Following surgery, physical therapy is recommended to regain range of motion and strength of the ankle.